Have you heard about the UK’s first development of smart homes? Available in our hometown of Milton Keynes, they come with Apple Home app, Siri and Apple HomeKit accessories fitted as standard. The collection of 39 brand new automated homes and apartments in Sommar Place are complete with energy efficient and eco-friendly Scandinavian designs. The futuristic vision: Dupli Casa in Stuttgart, Germany. Villa by day, fortress by night: Safe House in Poland. Modern rare enclave: Wissioming Residence in Maryland, USA. How exciting that the UK’s first smart home is right in the heart of Buckinghamshire! Looking at this latest home automation project, we thought we’d explore some interesting smart home hacks to achieve the look and efficiency of a smart home for less. The decorative theme running through these stunning smart homes is based around the popular minimalist look. The term “minimalist design” refers to the use of industrial materials and geometric forms in a flowing, open-concept space. With a strong emphasis on simplicity and function, Scandinavian design is influenced by minimalist shapes, natural materials and pale colours. How? Eliminate everything unnecessary and focus on each room’s purpose and function, e.g. incorporate monochrome hues, stainless steel/chrome accents, streamlined shapes. Not on The High Street have some striking minimal home décor ideas and offers. Etsy is also a good place to have a browse through beautiful modern minimalist décor. How? Declutter and combine modern design with organic materials e.g. neutral/pale tones, wooden accents, woven rugs. Study or socialise, with timeless Scandinavian style from Ikea. The Scandinavian Design Center also have some great offers. Conserving energy and protecting the environment is at the heart of every smart home. On average, UK households spend between £45 – £80 a year each powering appliances left in standby mode or not in use! So, why not begin your smart home transformation with a budget friendly remote control energy saving plug? These cleverly prevent appliances from wasting energy left on standby mode unnecessarily. With various models on the market, the best value for money we’ve found is via the TOP-MAX Remote Control Socket Smart Wireless package. 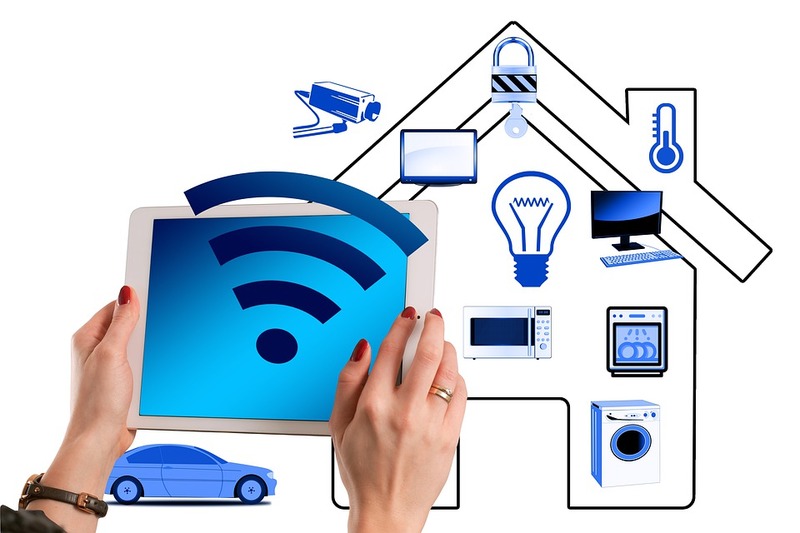 The main reason home automation hasn’t completely taken off yet is obviously due to the expense involved. But what if you could automate your home yourself in the same way, for little or no budget? All you need is an iPhone and an inexpensive ‘Raspberry Pi’ micro-computer. Control light bulbs, power outlets, monitor security cameras and automate them all together. This may sound complicated, but it can be achieved relatively easily even if you’re not technically minded. Please visit hackster.io and Prota OS for full information on this exciting smart home hack. Then you can check out these 50 best smart home apps. Now is the time to upgrade your Buckinghamshire home before Winter arrives, so please get in touch if you’d like more information on how our window and door products can save money and reduce your heating bills. Call us on 01933 227 233 or send us a message online.